The unseasonably wet weather which has blighted sporting events this April and May, took a surprising, but welcome turn for the better on 16 May, as teams from over a seventy Livery companies assembled in the sunshine at Holland and Holland’s shooting grounds at Northwood in Middlesex for breakfast before this annual charity competition. The Feltmakers, this year, were only able to field one team of four guns, whereas in previous years, we had two or even three teams entering the event. 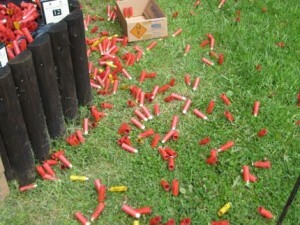 Absent Feltmakers who have shooting skills, certainly missed out on a most enjoyable day. As usual, there were 10 stands, where we were challenged by different pairs of clays at each stand, each pair launched 4 times. 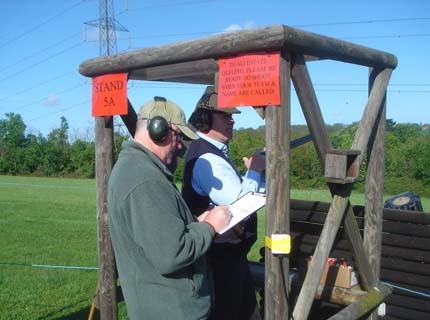 So a Liveryman could score up to 8 kills at each stand, or a total maximum of 80 for the course. 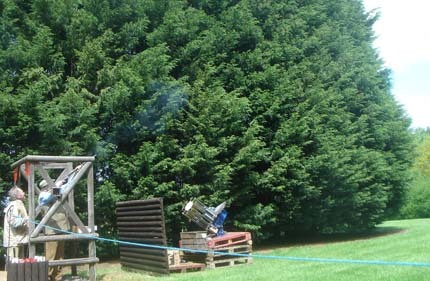 Added to this is the flurry, for which all four of us shot as a team as waves of clays totalling another 80, were sent over our heads from a high tower, and we had to blaze away and hit as many as we could in only a few minutes. 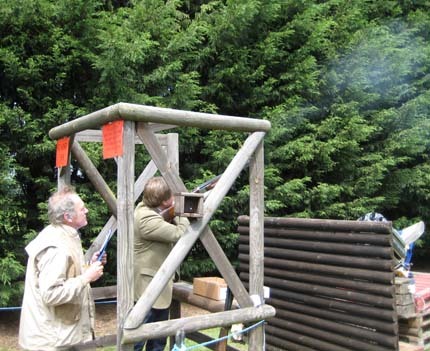 For this adrenaline raising frenetic activity, we each had the luxury of a member of Holland and Holland’s staff acting as a gun loader. 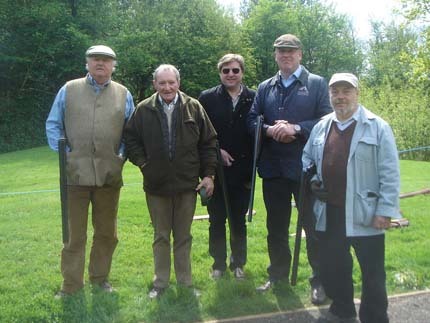 The team members this year, under the captaincy of Brian Minnighan, were Peter Winfield, William Battersby, our Clerk Jollyon Coombs, and Peter Shirley. Yes, 5 Liverymen, but Jollyon nobly gave many of his stands to Brian, so that he had a good share of the sport. A fine sunny day, but there was a chilly breeze blowing, so after a long morning out in the field, with an 8.30 start and a 1.30 finish, we were looking forward to returning to Holland and Holland’s building, beside which a large marquee had been erected in which lunch was served. The lunch is always excellent and traditionally features spit-roasted pigs, although many other dishes are provided in a very generous buffet. 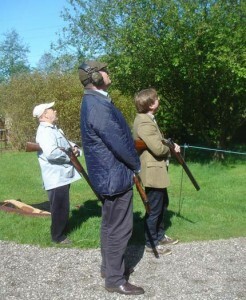 Although this is a competition, and many high scores are obtained, the emphasis is on enjoying the day, rather than taking it too seriously, and so relative novices can happily shoot with their more experienced colleagues, without fear of any discouraging comments, but far more likely receiving encouragement and practical advice. So Feltmakers who are already experienced at shooting, or who would like to have a go at this most interesting sport, should contact Brian to see about taking part next year. This year’s team members are certainly looking forward to next year.